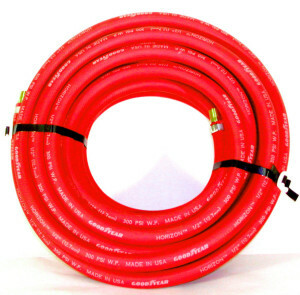 The same great hose made in the same USA factories…. 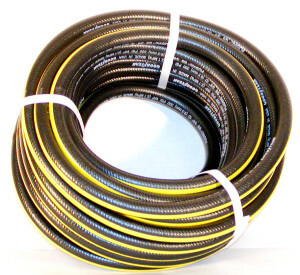 The hoses listed are kept in stock. 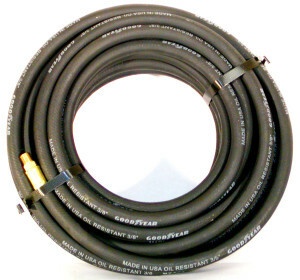 If there is a different Goodyear (Veyence Technologies still makes the hose but it is sold under the Continental name now!) 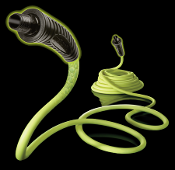 hose you are looking for please call. 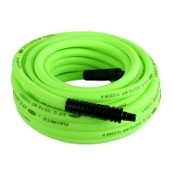 Quality Cut & Abrasives has access to the full line of Continental industrial hose products. Continental is very proudly made in the U.S.A. 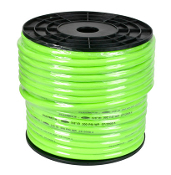 These prices are based on the purchase of a single hose. Better prices are available for larger quantity purchases. 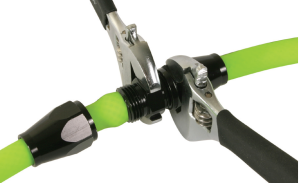 If you are intersted in making your own hose…PLEASE CALL… As well as carrying 250′ rolls of Flexzilla air hose, hose barbs, and brass ferrules, Quality Cut & Abrasives can also supply you with the crimping tools needed at a very reasonable price! 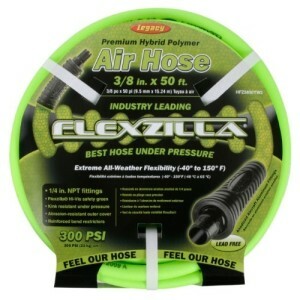 Flexzilla air hoses are repairable! 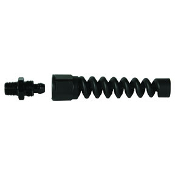 RP900375: Flexzilla Pro 3/8″ Reusable End with Spiral Bend Restrictor…. Very reasonably priced at $5.98 each! 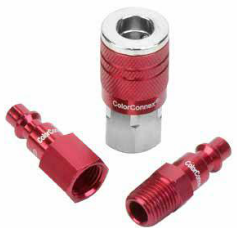 The ‘ColorConnex’ color coding system makes it easy to connect the correct tool to a specific dedicated hose line. 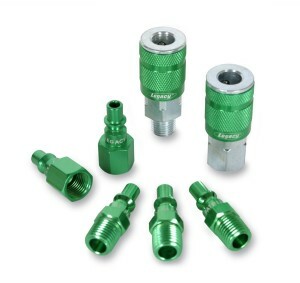 Quality Cut & Abrasives currently carries the industrial (red), and the automotive (blue), and the ARO (green) style couplers and plugs in the 1/4″ size. 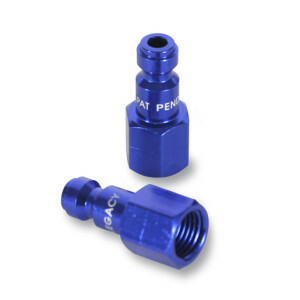 Legacy also makes these in 3/8″ and 1/2″ sizes. We will soon have the full line available for our customers. 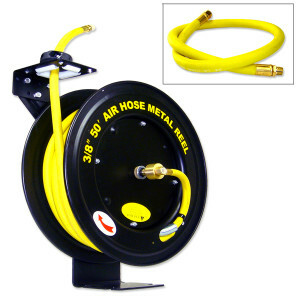 From our Neiko distributor……Quality Cut & Abrasives carries a really nice all metal retractable air hose reel. It is very well made. 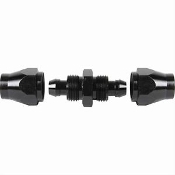 It is part number NEI-40275A and sells for only $159.00. 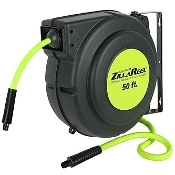 This reel comes with a 3/8″ x 50′ yellow rubber hose with a 3′ swivel whip hose. 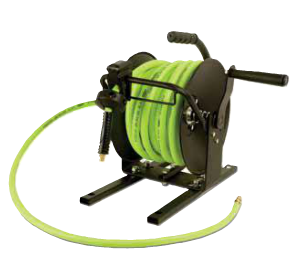 This reel is also available with a 3/8″ x 100′ or a 1/2″ x 50′ hose. 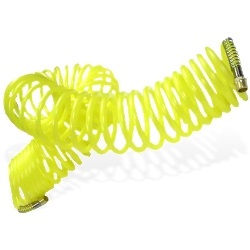 If you are looking for coil hoses, we carry these in various lengths with a variety of fittings…….Please call for details.